One of the best Panama City Beach Attractions is visiting Shell Island and we’ll give you a ride on one of our Official Shell Island Shuttle’s. 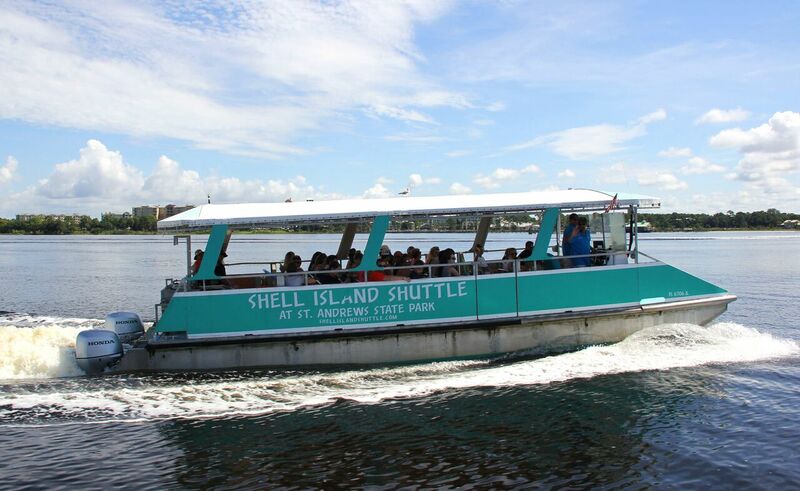 Shell Island Shuttle is the easiest, safest and fastest way to get to Shell Island. We are the only Shell Island Shuttle service allowed to drop you off on the best spot of the Island, inside of the Jetty Rocks. From there you’ll have a short walk over to the pristine white sandy beaches and the emerald green waters of the Gulf of Mexico. Purchase your tickets at the Camp Store except for Labor Day Weekend. Explore Shell Island on your own time with your family and friends with one of our, well maintained, Shell Island Pontoon Boat Rentals. We’ll provide you with Maps of the area, required safety gear and the fuel you’ll need for your trip. We also have Double Decker Pontoon Boats with seating for 12 and two of the ever-so-popular water slides! We are the closest Panama City Beach Pontoon Boat Rental facility to Shell Island, so you can spend less time driving to and from the marina, and more time enjoying the sights, checking out the marine life and unveiling the mysteries of the Island! Love Dolphins? Come Explore with us! Our Shell Island Dolphin Tours are one of the most memorable experiences you will have while visiting Panama City Beach. 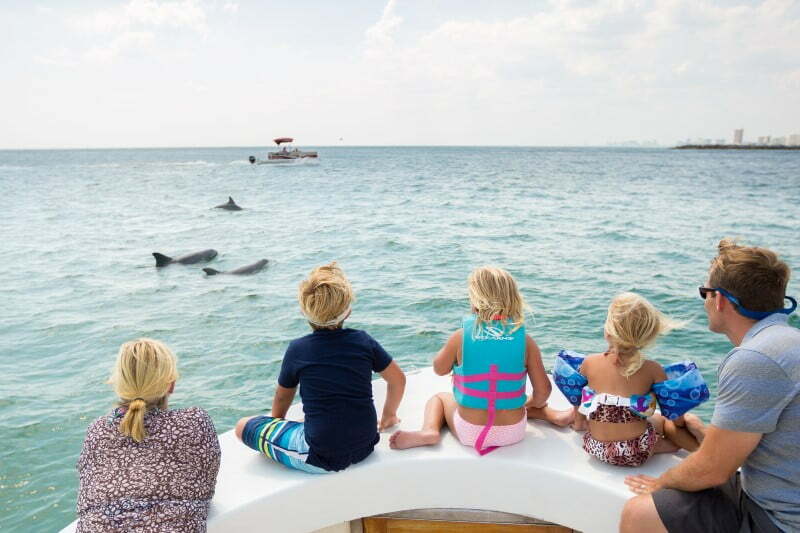 Our dolphin tours only carry up to six passengers at a time and allow you to get up close with dolphins from our Shell Island Dolphin Tour Boats. Our expert captains are locals with some of the best knowledge on dolphins in Panama City Beach, Fl. Our Shell Island Dolphin Tours hit all of the best spots so be sure to bring your camera because you will want to capture the extraordinary beauty of this adventure! Have Fun Playing in the Water! We have many different ways to play in the waters around St. Andrews State Park. You can rent kayaks, snorkeling gear and paddleboards at many different locations within the park. Rent snorkeling gear and jump on the Shell Island Shuttle or one of our Pontoon Boats and begin your adventure! 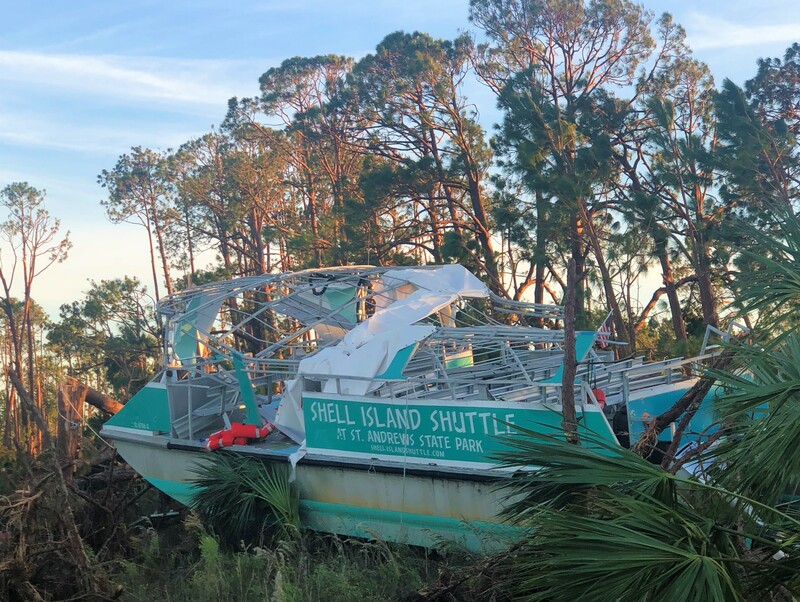 Take the Shuttle to Shell Island and pick up your kayak. You’ll also find rental gear at our Pier Store and Jetties Store, so grab the gear and run down to the beach to start your adventure! Here at St Andrews State Park we have Pontoon Boats ready for your vacation adventure to Shell Island.